County supervisors adopted most of the recommendations of its ad-hoc Committee on Advisory Boards, Commissions, and Committees during their annual organizational meeting Tuesday. The board dissolved several advisory panels after finding they were redundant, had served their purpose, or just weren’t doing much. 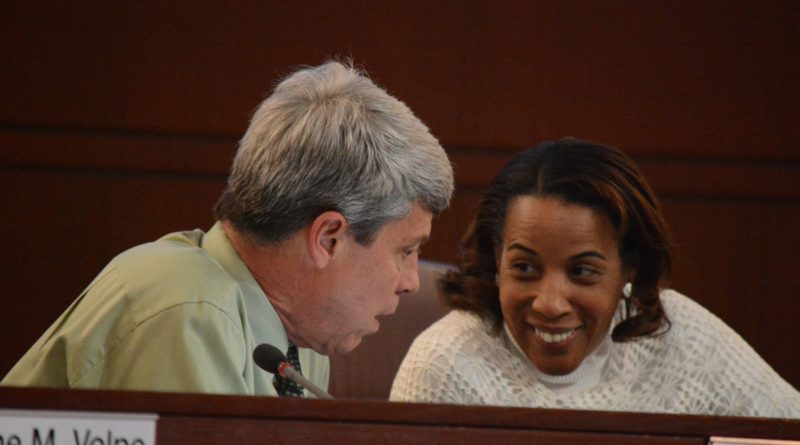 The committee on committees was a yearlong effort begun early in the board’s first year and aimed at cutting down on the more than 50 citizen advisory committees the county has, many of which require support from county staff members. Some changes were more contentious than others among board members. In particular, board members were divided on whether to fold the Lyme Disease Commission into the Loudoun Health Council, dissolve the Transportation Improvement and Safety Commission, or remove cable franchise agreement oversight from the Communications Commission and establish a timeline for that panel to produce recommendations for expanding broadband service in the county. On the latter, county staff members worry that the commission was stretching beyond its authority, seeking to enforce franchise agreements with cable television providers. Supervisors entered a heated debate over whether to make those changes. Some argued the commission could get ahead of itself and put the county into a legally tenuous situation; others said the committee is making up for shortfalls in enforcement by the county staff, and interfering with the commission’s work could interfere with efforts to expand rural broadband service. Ultimately, the board sent the matter to its Finance, Government Operations and Economic Development Committee for further review. Also the board’s less controversial changes: The Trespass Towing Advisory Board was dissolved, while the Police Directed Towing Advisory Board will remain; the Landfill Special Exception Committee was dissolved; the Courthouse Grounds Committee was dissolved; and the Water Resources Technical Advisory Committee will convene only as needed. The county staff will also prepare updated directions for individual committees for supervisors’ approval. Does this mean “Chairman” Randall won’t be able to get photo-ops for serving on vaguely defined committees and will actually have to learn how local government works now?